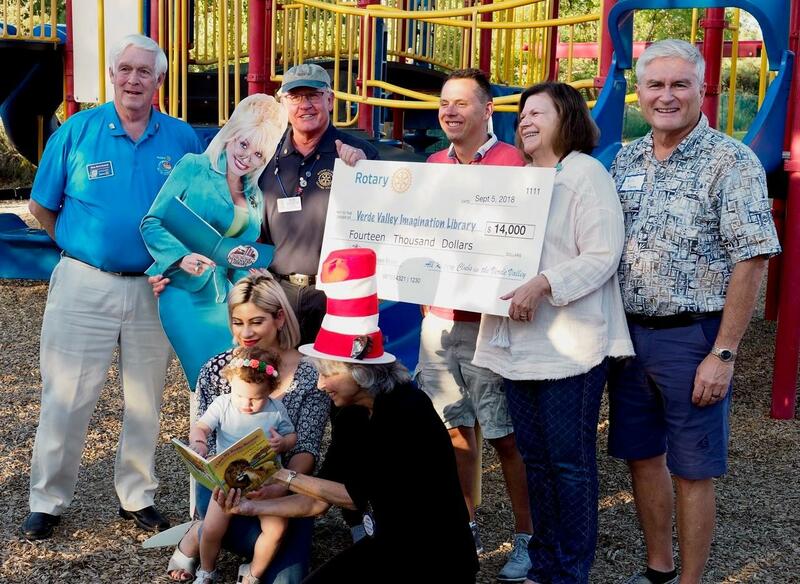 All four Rotary Clubs in the Verde Valley (Sedona, Sedona Red Rocks, Sedona Village, and Verde Valley) and visiting Rotary District Governor, Jim Erickson, (far left) were proud to present a check for $14,000 to the Verde Valley Imagination Library (VVIL) that now mails 1,750 free books every month to children from infancy to age five who live in the Verde Valley. VVIL is a non-profit program that is only possible through community support. VVIL’s book program is free to all children living in areas that fund the program. The $14,000 donation pays for 6,510 books including mailing and $26 gives the gift of 12 books a year for each child enrolled in the Verde Valley Imagination Library. To enroll Verde Valley children or make tax deductible donations go to: www.VVILbooks.com.